LLUNA teething necklace has unique colors, different from the other teether necklaces. It is special and simple at the same time. Babies love its wooden ring and it is very easy to match with clothes. 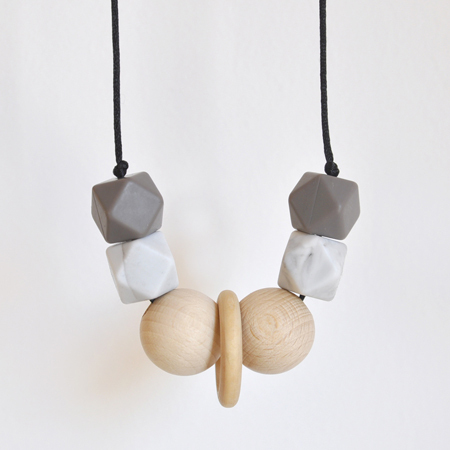 This silicone and wood teething necklace combines very well with all kinds of colors. It is formed by different pieces of silicone and 2 balls of natural wood (untreated beech). The cord is black.